The most common of vascular headaches, migraines are thought to involve abnormal functioning of the brain’s blood vessels. Migraines cause severe pain on one or both sides of the head, upset stomach, and, at times, disturbed vision. People often describe migraine pain as pulsing or throbbing in one area of the head. During migraines, people become very sensitive to light and sound. They may also become nauseous and vomit. Women are more likely than men to suffer migraines. First, nutrition is crucial in all healing. Long-term solutions to health always require you to make a change to your diet. Cut out all allergenic foods – gluten, refined or artificial sugar, soy, dairy. Secondly, get plenty of good quality water (free of fluoride and chlorine). And take Magnesium. See my article Manganese :The Super Mineral. Thirdly, do these 10 yoga postures every morning. Hold each pose comfortably for up to one minute, concentrating on relaxing and breathing. Repeat the whole sequence 2-4 times. Whether low or marginal manganese intake is a common contributor to bone loss is not known currently. Given that U.S. diets tend to be well above total manganese needs, it appears unlikely that increasing manganese intakes is necessary or helpful in prevention or treatment of osteoporosis. Manganese also functions as an antioxidant in skins cells and other cell types. It helps protect skin against oxygen-related damage and also against damage from ultraviolet (UV) light. In animal studies, manganese-depleted diets can lead to high blood sugars similar to those seen in diabetics. Whether this is true in humans has not been determined. Even though manganese deficiency may not directly increase risk of diseases related to blood sugar control (like diabetes), it is still likely to play a very helpful role in everyday blood sugar control. Magnesium deficiency causes an unhealthy balance of phosphorous and calcium in saliva, which damages teeth. The sleep regulating hormone melatonin is disturbed when Magnesium is deficient. Furthermore, Magnesium brings balance and controls stress hormones. Stress and tension are often reasons why people suffer from insomnia in the first place. Magnesium loosens tight muscles. Without Magnesium, muscles do not relax properly and cramps occur. Magnesium is important for flexibility, because low Magnesium results in a buildup of lactic acid, causing pain and tightness. Magnesium helps return the body’s pH balance. Magnesium reduces lactic acid, which is partly responsible for post-exercise pain (Delayed Onset Muscle Soreness). Magnesium is a necessary electrolyte essential for proper hydration. Magnesium can be used to cleanse the bowels of toxins. Enzymes are protein molecules that stimulate every chemical reaction in the body. Magnesium is required to make hundreds of these enzymes work and assists with thousands of others. Manganese is a co-factor for an enzyme called manganese superoxide dismutase (MnSOD), which is a potent antioxidant associated with protection against free radical damage. Diets low in manganese have been linked to conditions marked by increased free radical damage to cells and tissue, including skin problems and asthma. As noted above, the World’s Healthiest Foods contain a large number of excellent and very good sources of manganese. These represent a variety of food groups, including whole grains, legumes, vegetables, and fruits. Unlike most minerals, we see foods on the list that contain close to or the entire Daily Value (DV) for manganese in a single serving. One quarter cup of dried oats, for example, provides 96% of the DV for manganese. It’s worth pointing out that among our 85 WHFoods that rank as excellent, very good, or good sources of manganese, none are animal foods. That’s because animal foods are typically low in manganese, and provide 5% or less of the DV. resulting pain parasthecia etc. 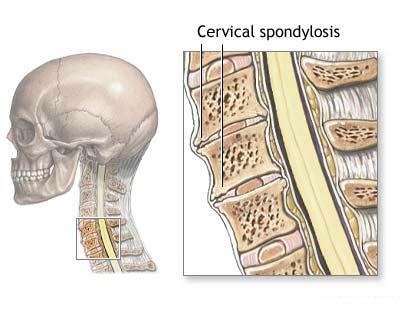 If it is occurs on cervical vertebrae it is called Cervical spondylosis.So this is a diseases of elderly (more than 40 years) where there is degeneration of the apophysial joints and inter-vertebral disc joints with osteophyte formation and associated with or without neurological signs. Incorrect posture while sleeping and working. Excess intake of sour and spicy food- cause to early degeneration. Smoking- tends to increase the disease and other symptoms. Repetitive strain injury (RSI)- caused due to lifestyle without ergonomic care (while working in front of computer), travelling, etc. Cold food, direct exposure of wind, heavy meal at night time, heavy exercise, use of improper pillow, lack of sleep at night and sleeping during day time, etc may aggravate the condition. Pain and stiffness of neck and shoulder. Radiating shoulder pain to arms and upper part of chest. Tingling and pricking pain in arms and hand. Difficulty in writing , holding objects etc. Abnormal reflexes and irritability and lack of co-ordination, movements aggravates pain. Nausea (vomiting sensation), blurred vision, loss of memory, sleeping, giddiness on jerky neck movements. Feel or hear grinding or popping in neck. The Ayurvedic medicines are for prevention and therapeutic purposes. The basic treatment of Ayurveda is based on the principle of balancing three doshas namely VAATA, PITHA, and KAPHA. In a healthy individual these three are in a balanced proportion and are mainly have the functions like movement, change and metabolism, growth and stability respectively. 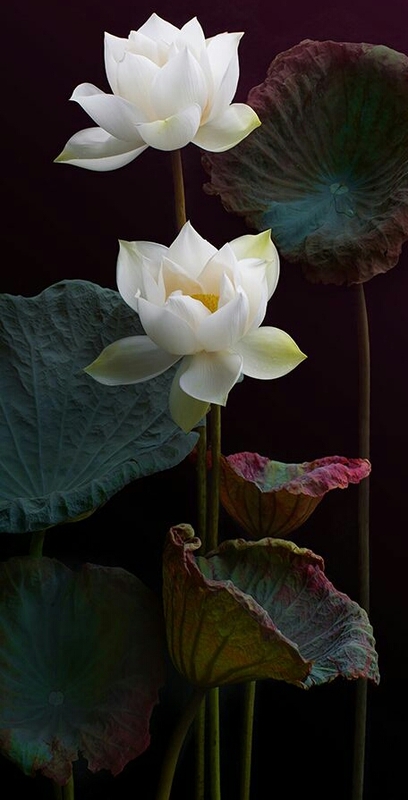 If there is any change in the nature of the three will cause disease.These functions in a state of equilibrium lead to the health and in-equilibrium lead to disease. 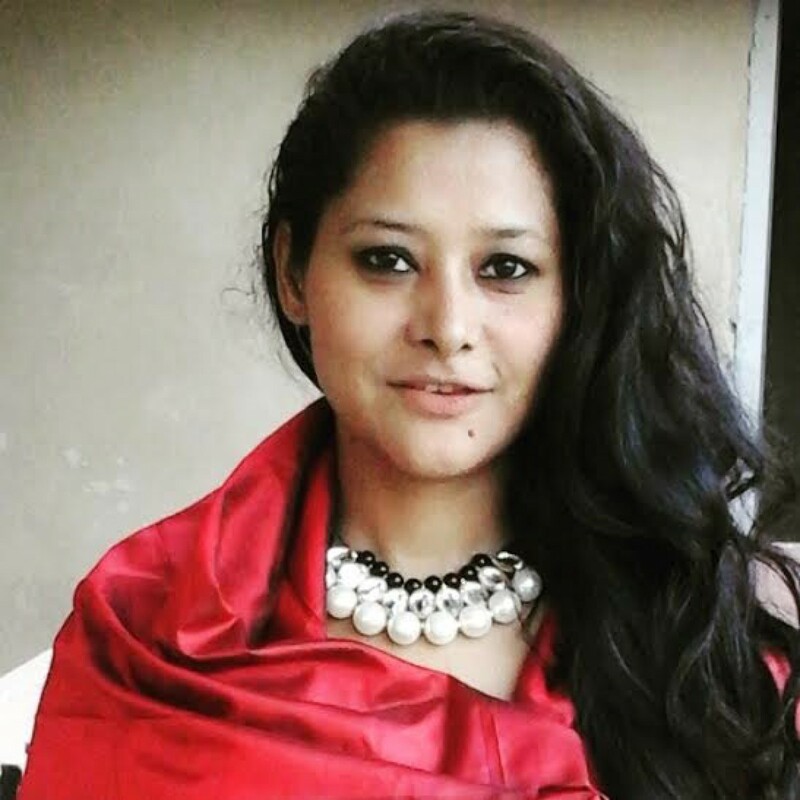 The treatments in Ayurveda is aimed at restoring the equilibrium through correction of the underlying in-equilibrium by the treatment like shodhana(purification and elimination), samana(pacification), yoga and naturopathy, By changing the lifestyle and food habit, by maintaining and increasing the spiritual, mental, physical well being, through panchakarma therapies etc. This includes various drugs are administered to a person to bring the three doshas in equilibrium. This is the choice of the treatment in the persons where panchakarma is not advises. (very young children or very old peoples, or patients who cannot follow strict rules of diet and life styles etc. This means removing excess doshas in the body the cause ailments by means ofpanchakarma. These treatments are double edged swords and need to be undertaken with lot of care. Done correctly they provide quick relief from the symptoms but would prove hazardous if done incorrectly. Also before and after undergoing the panchakarma a person has to strictly follow the diet and lifestyle advised by the physician for a few days. Even if the shodhana therapy done correctly if a patient not follow correct diet and regiment it will cause other complications. Correction of the entities responsible for altered functioning and rejuvenation of the bodily tissue to regain and maintain natural strength and vitality. According to Ayurveda this disease can be correlate to as APABAHUKA or GREEVA SANDHI GATA VAATA. Vata the principle of movement is the predominant function with nervous system and musculoskeletal system. any problem relating to these systems are predominantly caused by vata vitiation. The vitiation of vaata is caused mainly by the two mechanisms. One of them is the obstruction of vata to there proper functioning and channel by kapha and pitha, and the second one is increase of vaata independently.The obstruction of vaata will result symptoms and disease like inflammation and fibromyalgia (*1) etc as in this case. Aggravation of vata will result some degenerative process,herniated disc, etc. Ayurveda treatment protocol is primarily focused on normalizing the vitiated and obstructed vata by means of shodhana and shamana therapy, and to rejuvenate the effected tissue. Since these conditions may also related to the stress, etc recommends a holistic approach with medicines and therapies, life style modifications and diet minimal exercises and yoga. The therapeutic approach to the two types of vitiation is different.If vata obstruct due to other doshas as in the case of elimination, fibromyalgia etc, Correcting them through shodhana(elimination) and shamana(pacification)is the methods to be adopted. If vaata alone act as in the case of degeneration, etc use medication which arrest the degeneration and further degenerative process, and give rejuvenation therapy. The treatment can be advised in OP and IP level. According to the treatment given these disease can be categorised in to three stages. 1st stage– Early progressive stage. only slight symptoms like slight pain occasionally, stiffness there. in these stage should treat the patient with vata-kapha hara medicines and therapies. 2nd stage- Here patient should treated with vata-pitha hara medicines and therapies. In these stage symptoms like pain during movement of neck, stiffness, pain on back of the head, radiating pain to shoulders and arm etc can seen. 3rd stage- Consider as the last stage. in these stage symptoms like nausea, gait disturbances, bladder and bowel incontinence, giddiness etc may be seen. Here purevaata hara treatment is advisable. Small types pf treatments like elakkizhi, fomentation etc. Podikkizhi with sathahwadi churna etc. With all these types of treatments according to the condition of the disease and the patient also should undergone strict exercise and life style. By all these medicines and treatments it is found that very useful to cervical spondylosis and can arrest further progression. Few yoga postures are restricted for particular complaints. One should start gradually by following few mild process in beginning and gradually increase the steps to relive from pain and to enhance the quality of life style. few yogas are explained here. Cross the legs keeps the thighs such that both the heels are near the navel. breath normally.It will calms the body and mind. strengthens the nerves and muscles. Keeps the palms besides the chest. 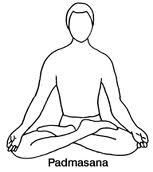 While inhaling raise head and chest up to navel.keep elbows folded near the body. Breath normally. While exhaling return to normal. It helps to relieve back pain, diabetes, asthma, neck pain. Inhale raise both the legs, exhale press the legs against abdomen touching the chin between the knees.Breath normally,inhale , release the legs while exhaling, return. repeat head should rest on ground. Helps in curing constipation, diabetes, high blood pressure, obesity,joint pains, and flatulence.In case of neck and shoulder pains. While inhaling lift both legs. Breath normally and exhale as you return.Keeping the knees straight. Prevents gas formation and strengthens muscles of legs, back, shoulders and varicose veins. Avoid in back pain, lumbar spondylosis, knee pain, ulcer, abdominal surgery. Here in this picture only mentioned one leg only keep practicing with both leg. 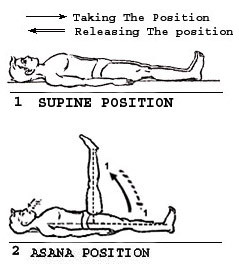 In the supine position relax the whole body and concentrate only on the breathing. Helps in controlling heart problems, high blood pressure insomnia, and mental tension.this should be performed at the end of yogasana. Keep both the hands under the thighs, inhale lift both the legs. Exhale and return. strengthens the lungs, abdominal organs, sciatic nerves, prostate glands, kidney etc. Avoid in hernia ulcer and cardiac problems. This is a type of respiratory exercises, some of them are anuloma viloma, nadi shodhana, bhramari. etc. Diet therapy, fasting therapy, mud therapy, hydro therapy, etc. Life style exposure to cold and cold bath etc, very violent exercises of the neck muscles including pressure, are very bad for the patients of cervical spondylosis. While reading and writing should maintain a comfortable posture. Give rest and movement to the neck after a long sitting in front of the computer,long driving. 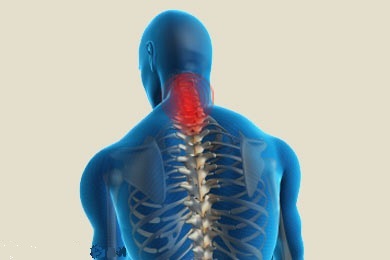 Always try to keep spine and neck in erect position while sitting, walking, sleeping etc. Avoid very hot and cold and spicy food items ( avoid its continuous usage). Sleep well at night, give exercise and proper rest for body and mind. If any disturbance occurs consult a doctor. Practice exercise like yoga that will help to calm the body . It is an associated symptom, but a different condition. pain in muscles following spasm associated with morning stiffness, disturbed sleep, a feeling of swelling, some points are tender and when palpated produce pain.But it is not associated with muscle weakness. The pain is severe and it is localized to certain points in skeletal muscles, particularly the large muscles of neck and shoulder girdle, arms and thigh. Tender nodules can be felt in the muscle tissue, which serve as a trigger points. Many of the patients are tense sedentary women. *** Ref: many medical and Ayurveda books, internet etc. Method: Adi mudra is formed by placing the thumbs into the palms and curls the other fingers over the thumbs. 1.Place the ‘fists’ down onto the thighs with the backs of the hands higher . 3. Repeat this cycle for 7 times. Performing Audi mudra opens the higher lobes of the lungs. Adi Mudra motivates Udana vatu, the prana that Moves upwards in the head region, and outwards to the extremities. In physical terms, it is in charge of the balancing and healing the sense organs. In more subtle terms it is in Charge of balancing our appreciations. Adi mudra in Try to maintain awareness of each breath moving into out of the nostrils for two or three minutes. Increases the vital capacity of the lungs. It helps the organs to function actively. Increases oxygen flows to the throat and head area. It quiets the nervous system.